Christmas stories that I hope you like. They are a few that I have collected over the years that I really like. You might find some are a little strange. A TRUE STORY By the age of four, Roger Dean Kiser had been abandoned, first by his parents and then his grandparents and placed in a Florida orphanage. Unable to adapt to the difficult, often cruel and abusive environment of the orphanage, and stigmatized by his repeated attempts to run away, he was transferred to a Florida reform school at age twelve. Roger's poignant recollections of his painful childhood experiences will take you into the heart of a child abandoned by his family and abused by the system responsible for his care. Now an adult, Roger Dean Kiser writes about his childhood along with his current day tales. A real-life Tom Sawyer, Roger's stories find a common ground in each of us. Roger Dean Kiser is a simple man with only a sixth grade education yet he possesses a wonderful ability, storytelling. Luke tells us that on the night Jesus was born, shepherds near Bethlehem were watching their sheep. Suddenly, an angel appeared before them — radiant, shockingly luminescent, and bright. Awash in the otherworldly light, the glory of God pooling around them, the shepherds were terrified. 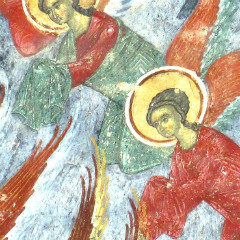 “Do not be afraid,” said the angel, “for behold, I bring you good tidings of great joy which will be to all people. For there is born to you this day in the city of David a Savior, who is Christ the Lord” . We focus for obvious reasons on what the news meant and means for people. But we should know that the glad tidings were good for angels too. They weren’t just praising God for the benefit of the shepherds or even us. As I discovered while researching my book Lifted by Angels, they were also praising God for reasons of their own. The story was initially published in The New York Sunday World with the title "Gifts of the Magi" on December 10, 1905. It was allegedly written in a booth at "Pete's Tavern" on Irving Place in New York city. It is a Christmas Story about love. How a young married couple, so in love, are able to give each other a most Precious Christmas Gift when they both are so very broke. Penniless! They do discover the perfect gift for each other. A Christmas Story About Spiders??? These legends come from Eastern European folktale which explains the origin of tinsel on Christmas trees. It is most prevalent in Ukraine where small ornaments in the shape of a spider are traditionally a part of the Christmas tree decorations. In addition, there are many different folk legends dealing with Christmas Spiders that come from the Ukraine and/or Germany. In Germany, it seems there are many variations on the tale depending on the religious preference of the person telling the story. 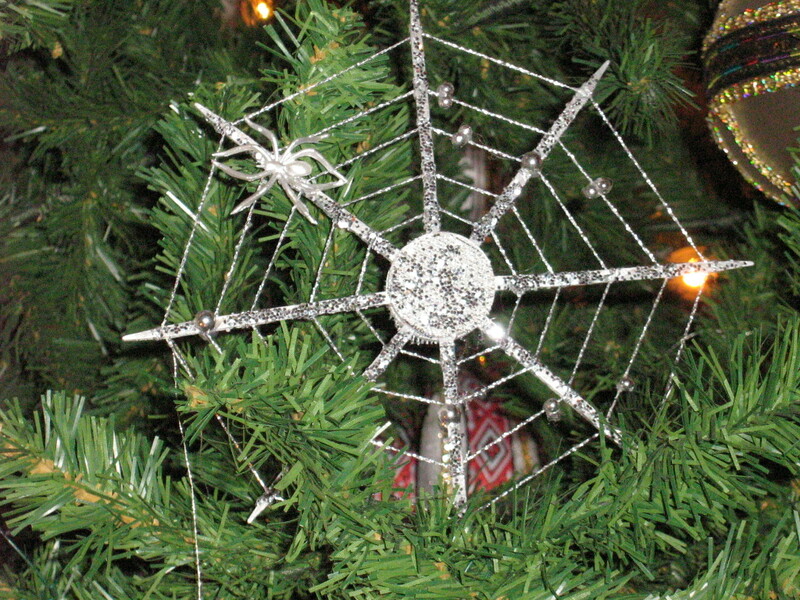 However, in all cases the association with spider webs and Christmas/Yule tree tinsels seems apparent.